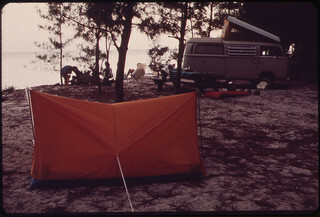 The camper struggled out of his pale orange ‘box-store’ pop-up 2-man. He stretched the cramp and sweat from his bones squinting through the morning sun. She drifted her gaze downwards, reaching for her salt-sprayed slip-ons. She looked down at the little entrance and cramped quarters and decided it was time to move on to a glampier place. It was 6 a.m. and time to get lost. The hum of the forest was in full symphony. There was glamping to find. 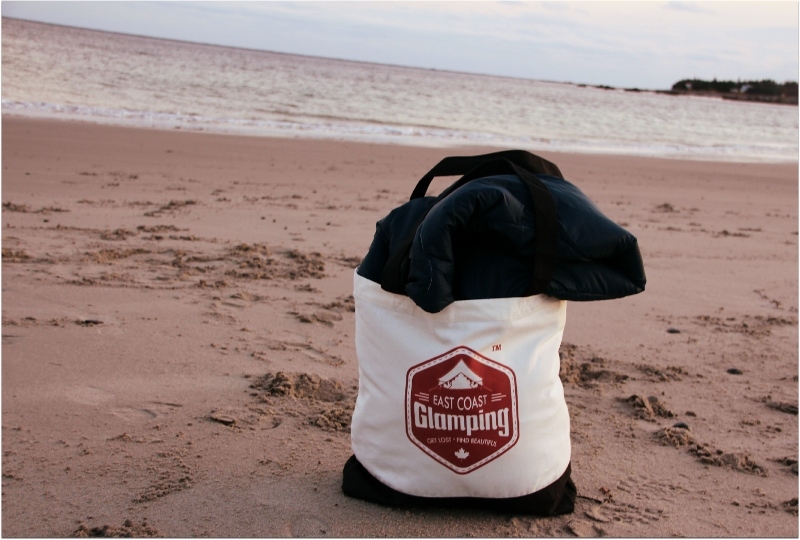 ECG Vintage logo Totes: for surf, sand, market or wherever you get lost. She stuffed her shades and surf cut-offs in her tote and threw her guitar on her back, checking the clock through a crack on her iPhone. If she left now … she’d be there for the festival…her bell waiting, with twinkly strung lights and brushed flannel bedding; freshly ground french-press coffee and room to do as many ‘tree’ poses and ‘warrior ones’ as she wanted. She’s finished roughing’ it. “Where you headed?” he could see her silhouette through the sun. Sleeps 6. If you enjoy company.